In our Onan X2 review we will have a closer look at the electric skateboard kit from Onan which is competing with the MellowDrive. We got the Onan X2 electric skateboard kit as part of the Nuff Skateboard from Kickstarter, but tried it on different decks. The Onan X2 kit has 2,000 watt to power 2 in-wheel motors which can accelerate you up to 25 mph (40 km/h) and take grades up to 20%. It is selling around 850 USD which is an attractive price compared to the MellowDrive which sells for about 1,700 USD. As an early baker of the Nuff Skateboard we were able to the get the Onan X2 including the Nuff Skateboard deck for 449 USD, but now the Nuff Skateboard is selling for 1,499 USD. So you are better off to buy the Onan X2 and chose your individual deck. The front truck and wheels are part of the Onan X2 electric skateboard kit. More details about the Nuff Skateboard, you will find in our Nuff Skateboard review article. 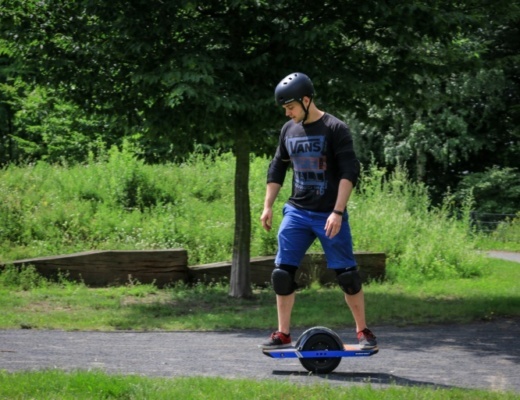 While the Onan X2 is almost half the price compared to the MellowDrive which we were able to ride in 2 setups at the E-Boarder Meet Up in Berlin Tempelhof in July 2017, we got the feeling that the quality is a little bit behind. 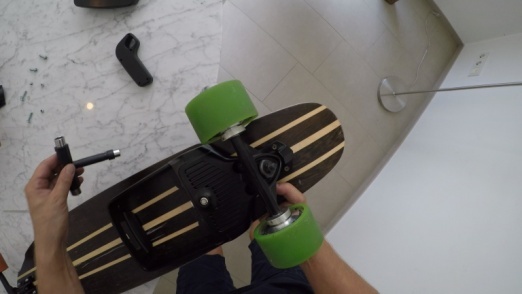 The remote, which is similar to the remote from the BoostedBoard feels good in your hand, but it does not feel as good as the Mellowboards remote with the slider. In our Onan X2 review we felt that the acceleration in fast mode is good for a in-wheel motor, which have less traction compared to electric skateboard motors with belt. Also the braking is reasonable, but has a strange sound as you can hear in our video. By the way, less torque with in wheels motors come in exchange with almost no resistance if you want to ride your longboard with the motor turned off, which is nice. The 93 mm wheels are not very soft, so you will feel dirt and small stones on the street. 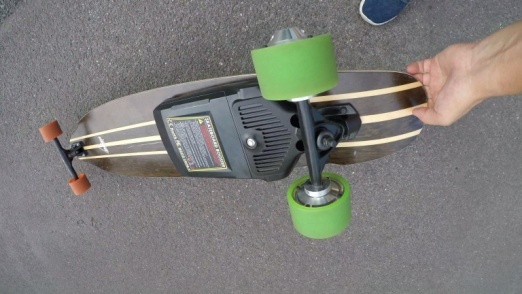 We could confirm in our Onan X2 review the range of up to 9 miles (14 km), which depends (like with any other electric longboard) on the weight of the rider and riding style. The speed of 25 mph (40 km/h) however must have been tested under ideal conditions. In our setups we may be made 19 – 22 mph (30 – 35 km/h), which by the way should be good enough. As part of the Onan X2 review we made a video about how to change the deck and also from our first ride featuring our own Pogo Longboard. This video and the Nuff Skateboard video you can find in our E-Boarder Youtube Channel. 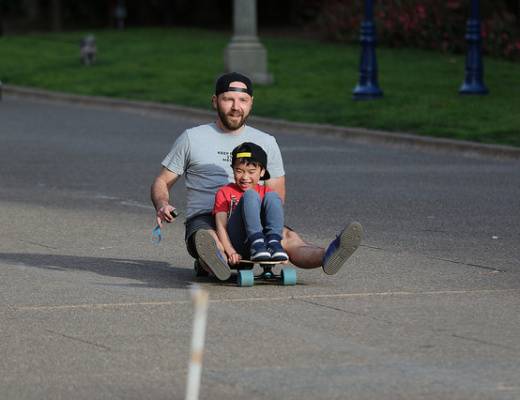 The Onan X2 is an easy way to build your own electric skateboard with the deck of your choice. It has a good quality and is easy to mount. 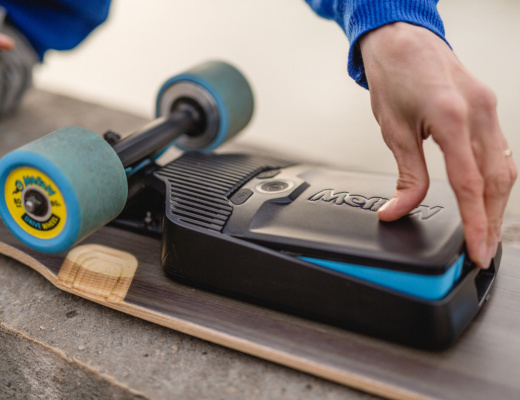 If money is no issue for you, you may want to go for the MellowDrive, but the Onan X2 should be good enough for all who want to enter the world of electric skateboarding.